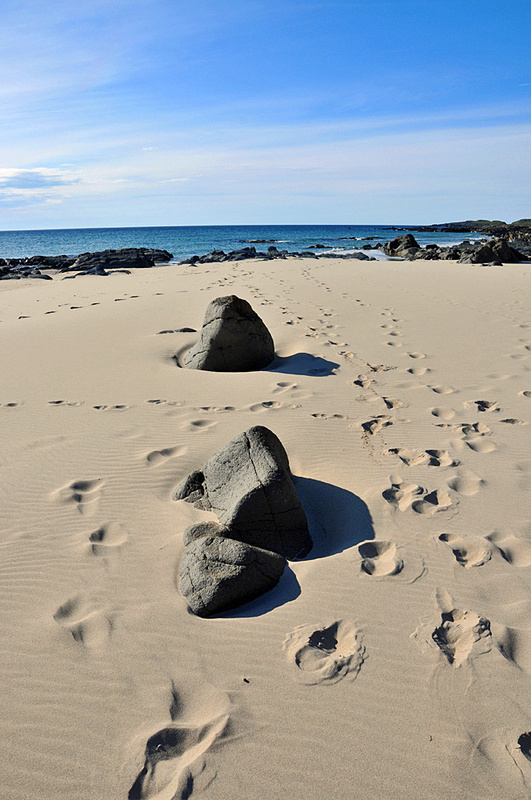 An impression from a nice afternoon at Saligo Bay on the west coast of Islay. People walking on the beach have left their marks in the sand. The next high tide will make them all disappear again. Wish those were mine footsteps.